If you are filing for divorce in Washington State and have health insurance coverage through your spouse, you need to have a plan in place for health coverage after the divorce is finalized. While your children may still be covered under your husband or wife's plan, you will no longer be considered a dependent and cannot continue to receive coverage. What Are My Health Insurance Options After a Divorce? Switch to health insurance coverage through your employer. If you have a job that offers affordable health insurance coverage, this is perhaps the easiest and least expensive option after a divorce - though you should be sure to crunch numbers and compare the results. Apply for COBRA benefits. The Consolidated Omnibus Budget Reconciliation Act is a federal law that protects people from losing health coverage during life transitions like divorce, job loss, or a death in the family. It allows you to continue with your spouse's current health insurance plan for up to three years as long as you pay the premiums. While this can be an expensive option, consider using alimony payments to cover this cost. Ask for health insurance coverage in your divorce settlement. During the divorce process, ask your spouse to be financially responsible for your new health care costs or to pay for the cost of COBRA benefits. Buy a new individual health insurance plan. This may be a good option for those who do not need extensive coverage or those who just want to bridge a gap in coverage. 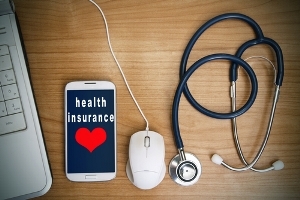 This is also a good option for those who may only want minimal coverage or catastrophic coverage. Choose a legal separation before divorce. If you need time to set up a plan for health insurance, you and your spouse could choose a legal separation and delay divorce, allowing you to stay on your spouse's health insurance plan. This is not a popular option, but could be the right choice for a small number of families. Remember: switching your health insurance plan takes time, and COBRA requires that you inform your employer of needing COBRA benefits within 60 days of your divorce. Do you need assistance with your Washington State divorce? Call Molly B. Kenny today at 425-460-0550 to speak with a Bellevue divorce attorney and make certain you begin the next chapter of your life on the right foot.